You know that saying ‘be careful what you wish for’ because sometimes when your wish comes true it isn’t exactly as you had imagined it turning out. Well, meet Robyn Silver who yearns to have a more exciting life, the kind of life where she would own her own swimming pool or win a lifetime supply of pizza. Unfortunately for Robyn the reality is the sudden appearance of creepy creatures around town which are invisible to everyone else and the mysterious destruction of her school, which throw her unexpectedly into an incredible adventure beyond the realms of her wildest dreams. Robyn is an ordinary girl forced into extraordinary circumstance by pure chance being born at the stroke of midnight has bestowed upon her special monster-hunting powers. Sometimes there is only so much excitement that a 10 year old can handle and so the story begins. This action packed new adventure series from Paula Harrison had me intrigued from the moment I first set my eyes on the brilliantly bold cover from Renée Kurilla. Hinting at the danger and drama that lies beneath, it’s a wonderful tale stuffed full of monsters and adventure which will hold you in its grip from the moment you turn the first page. Paula takes you on a thrilling ride and provides plenty of edge of the seat moments to keep the reader engrossed in the story. Renée Kurilla’s illustrations are full of energy and capture the peril the Chimes are facing perfectly. I loved the addition of the glossary at the back ‘The Chime Monster Compendium’ is full of monster facts designed to terrify and amaze. 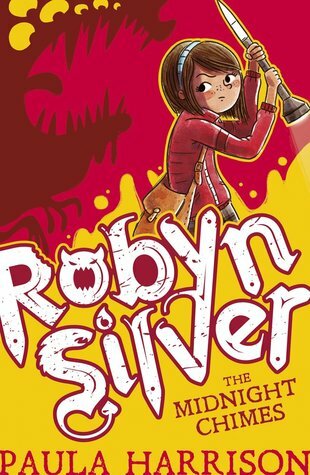 A cracking new series, I’m thrilled that there is more adventures coming from Robyn Silver with the second book due in Autumn 2017. 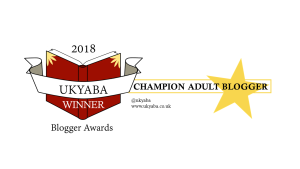 I have three copies of ‘Robyn Silver The Midnight Chimes’ to giveaway from Monday 29th August to Wednesday 31st August. To be in with a chance to win head over to my Facebook, Twitter or Instagram page to enter. 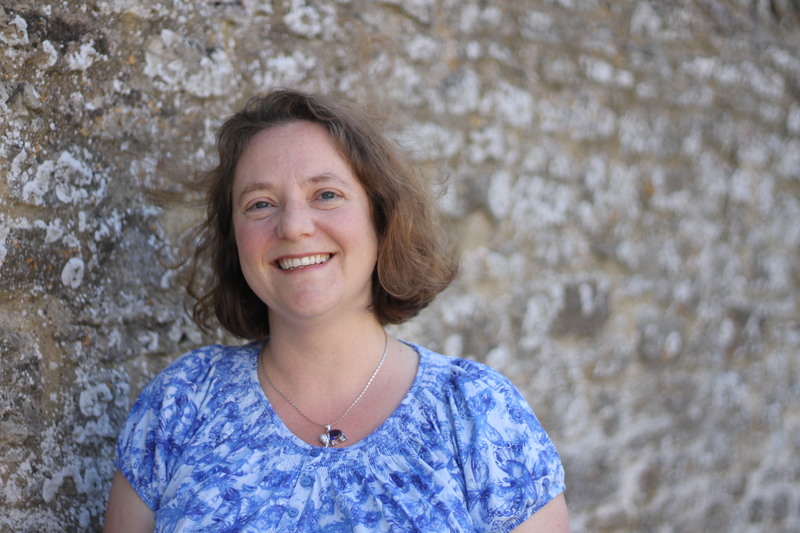 Paula Harrison is a best-selling children’s author, with worldwide sales of over one million copies. Her books include The Rescue Princesses series. She wanted to be a writer from a young age but spent many happy years being a primary school teacher first. 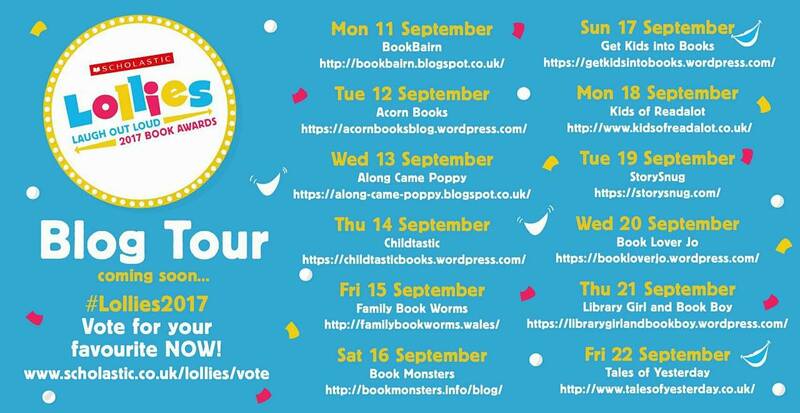 You can also join in with the rest of the blog tour for more reviews and guest posts. This entry was posted in Uncategorized on August 29, 2016 by bookloverjo. ‘Swimming to the Moon’ is the first book that I’ve read by Jane Elson, which is good news for me because after falling in love with her writing I now have two more books waiting for me to devour. Jane’s books have come very highly recommended to me by me Year 5 and 6 children who chose ‘How To Fly With Broken Wings’ as their favourite book in this year’s Peters Book of the Year Awards. I read ‘Swimming to the Moon’ in one sitting it was wonderful, joyful, marvellous there are just not enough words to explain how much I loved reading this fantastic book. However I will try my very best to tell you why! Bee or Beatrix Daffodil Tulip Chrysanthemum Rose Edwards as she’s officially known – named after the cheap bunch of petrol station flowers her Dad brought to hospital after he missed her being born – is finding life a struggle. Her beloved great -gran has died, her parents are constantly rowing and being different from the other children is making things increasingly difficult, in fact nothing seems to go right for Bee. Unknown to her family she is also being tormented by the super popular Chrystal Kelly, once her best friend and now her sworn enemy. Things take a turn for the worse when Chrystal double-dares her to enter a sponsored swim despite knowing she can’t swim and is terrified of water, but despite this she feels compelled to accept. But fate lends her a hand when the new boy Moon-Star comes to the rescue and they form a friendship bound by a promise to help each other, not realising that it will change their lives forever. Jane Elson has crafted a truly special story about overcoming fears, dealing with grief and the power of friendship. 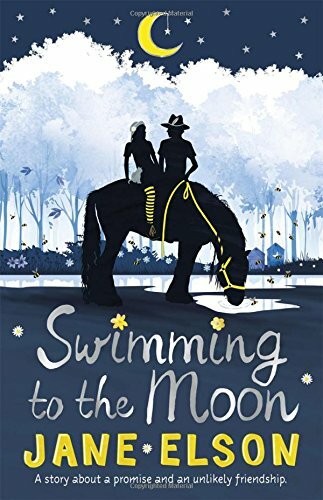 A wonderfully empathetic and moving read it explores the realities of life for both Bee and Moon-Star who are each facing their own challenges and struggling with acceptance. It feels so honest and real you find yourself totally wrapped up in the characters and completely enthralled in this story. I ran a whole gauntlet of emotions reading this story it made me laugh, cry and filled me with joy. It totally surprised me I wasn’t expecting to have such an emotional reaction, it is a definite must have read. This entry was posted in Uncategorized on August 25, 2016 by bookloverjo. 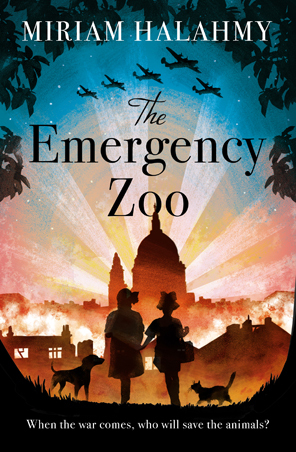 ‘The Emergency Zoo’ is a marvellous war time story from Miriam Halahmy inspired by real events during the Second World War. A tale of courage, hope and bravery which survives despite being the world being on the brink of the darkest of times. As the children of London are being prepared to be evacuated to the countryside our plucky heroines Tilly and Rosy discover that they won’t be able to take their beloved cat and dog with them. Just when they think it can’t get any worse they are horrified to learn that their pets along with many other animals are going to be taken to the vets to be put down. Refusing to accept this awful fate they come up with a plan to hide them in the woods and before long other children bring their animals along and their secret den becomes an emergency zoo. 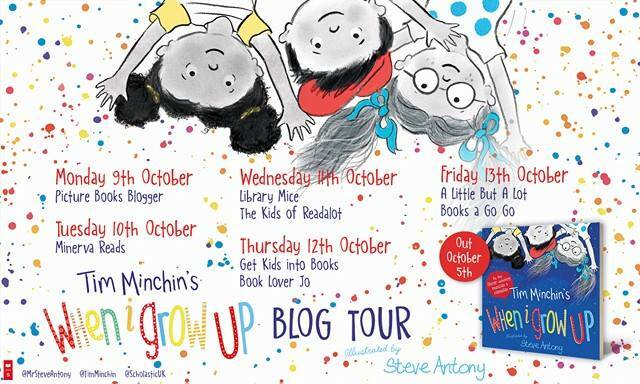 Brilliantly written, Miriam’s wonderful characterisation allows us to get totally wrapped up in the lives of Tilly and Rosy and their families as they prepare for the realities of war. Despite the troubled times lying ahead there is an enormous sense of freedom enjoyed by children as they outwit the grown ups and go to extraordinary lengths to protect their precious animals. It allows children to have a small but fascinating insight into life during the Second World War. I felt like a child reading this book it reminded me of the stories I grew up with, most particularly Enid Blyton adventures. This is an irresistible, nostalgic adventure perfect for children who love animal stories and yearn for an exciting read. Thank you to Alma books for sending me a copy of this book. This entry was posted in Uncategorized on August 21, 2016 by bookloverjo. 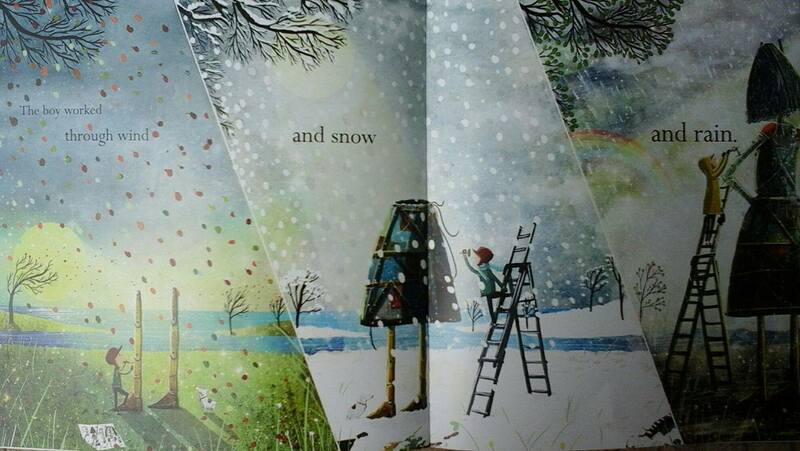 ‘The Building Boy’ is a picture book with such emotional depth and stunning illustrations that it literally made my heart sing. Ross Montgomery has crafted a beautiful bittersweet story accompanied by David Litchfield’s exquisite spreads bursting with warmth and emotion. Together they have created a masterpiece of a picture book which deserves to be treasured and shared. The boy has the most wonderful relationship with his Grandma each night they sit in front of the fire while she shares stories about the most beautiful places she had built ‘but they would be nothing…compare to the house she would build for the boy.’ But Grandma was getting too old to do most things and one day she was gone and all the rooms feel empty without her presence, the boy feels lost. It was at this point I felt bereft, but this ultimately is not about loss, instead it is an uplifting tale about the power of love. Inspired by his Grandma’s magnificent buildings the boy has an idea and begins to build non stop until at last he brings his creation to life. We are then swept up in this wonderfully, whimsical adventure which takes us upon a journey across fields, through oceans, leaping over skyscrapers until at last the boy realises where he needs to be to feel complete again. 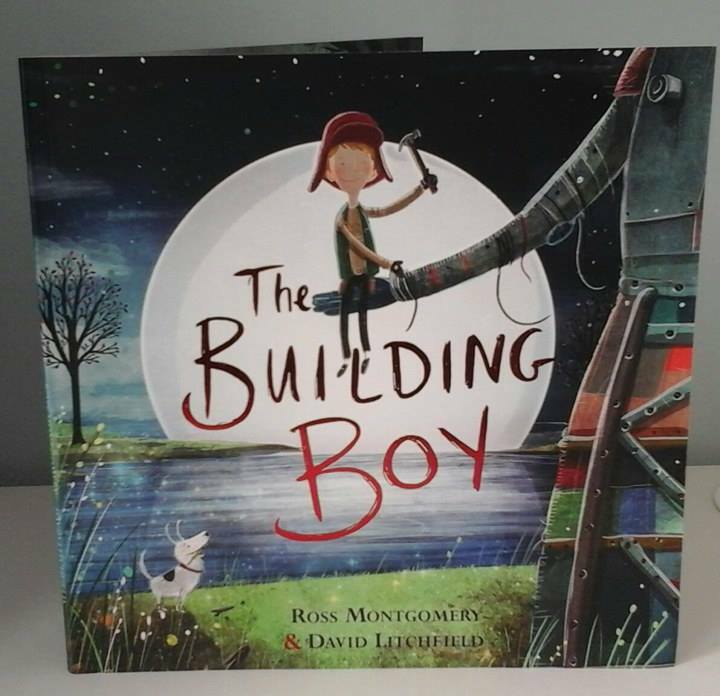 A stunning picture book debut from Ross Montgomery, allow yourself to be caught up in this truly magical tale and delight in David Litchfield’s glorious illustrations this really is the most extraordinary collaboration. ‘The Building Boy’ is released on the 1st September so not long to wait until you can get your hands on a copy. Thank you to Ross Montgomery for sending me a copy of this book. 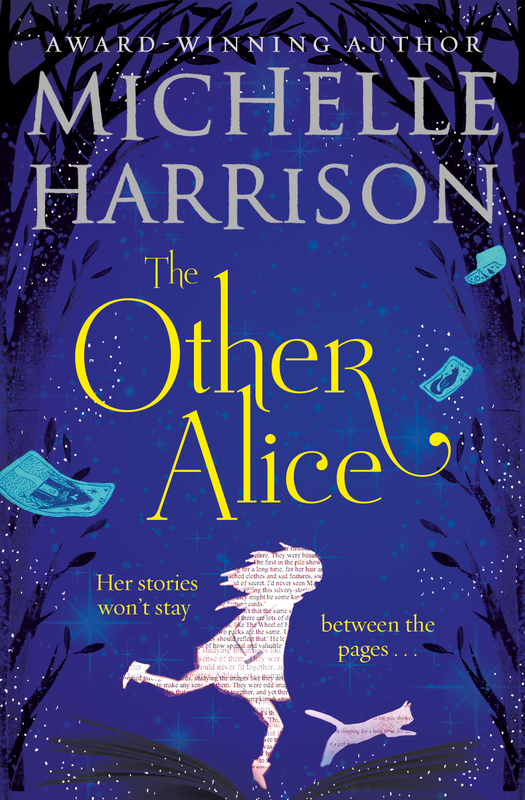 ‘The Other Alice’ is a wonderfully imaginative tale full of magic, riddles and the unexpected from Michelle Harrison. When Midge’s sister Alice goes missing one day, it provokes a series of strange events. From a talking cat appearing in her bedroom to the mysterious appearance of a mute girl who looks just like Alice, Midge finds that things become more and more curious. Whilst searching for clues he discovers that Alice has written an incomplete story, knowing how this would have tormented her, he feels that there must be answers contained within those pages. He soon realises that Alice is in great danger as the story and its characters begin to take control. Can he find her before its too late and avert a more sinister finale? This dark, bewitching adventure is sure to capture the imaginations of older readers. Full of twist and turns you will be left breathless by this dramatic pacey story and compelled to keep reading. As you become engrossed and captivated by this world where the characters leap off the pages into real life, you will never know which way it will take you. Full of twists and turns you’re continually being surprised as the story unfolds and the plot thickens. 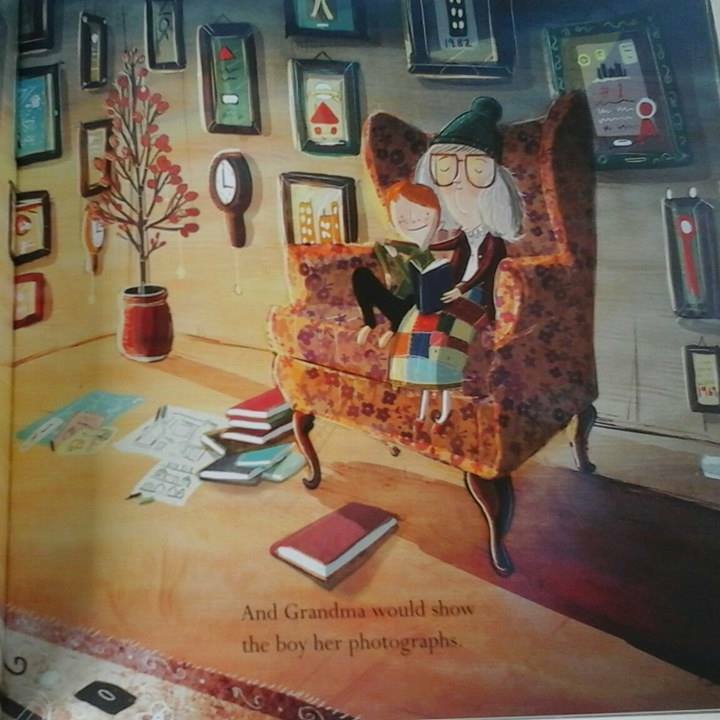 I loved how it explored the thoughts and processes that Alice uses as she creates her characters and structures her writing, it would be a perfect book for children who love to write their own stories. 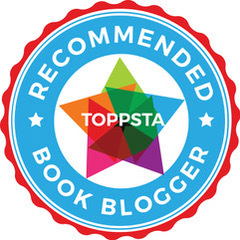 Michelle has created a vivid and magical read which will enthral and excite readers. Thank you to Simon & Schuster for sending me a copy of this book. This entry was posted in Uncategorized on August 20, 2016 by bookloverjo. I’m really excited to share with you on the blog today my round up of the very best of children’s non-fiction that I have recently discovered. As a school librarian I actively seek out information books that will engage and excite even the most reluctant of readers. 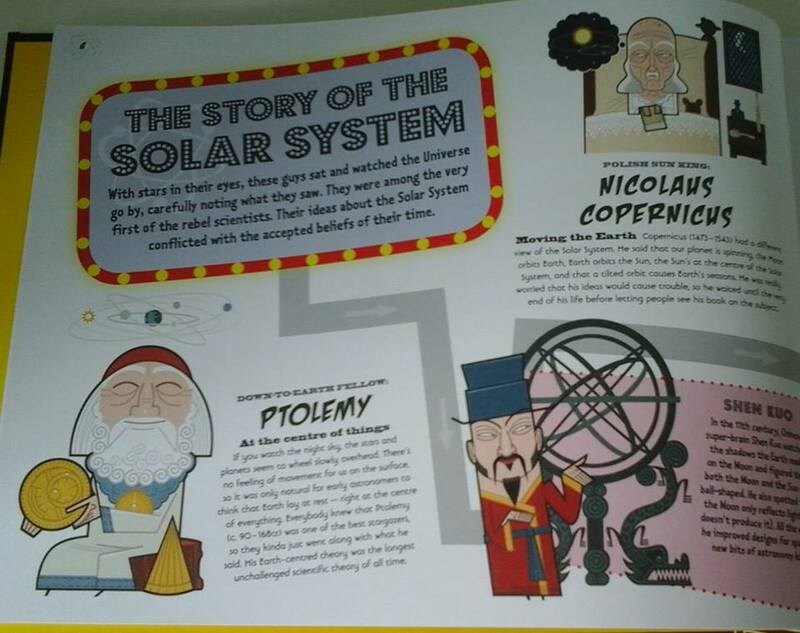 All of these books are stuffed with amazing facts, sublimely illustrated and will prove to be irresistible to children looking for a truly entertaining and informative read. 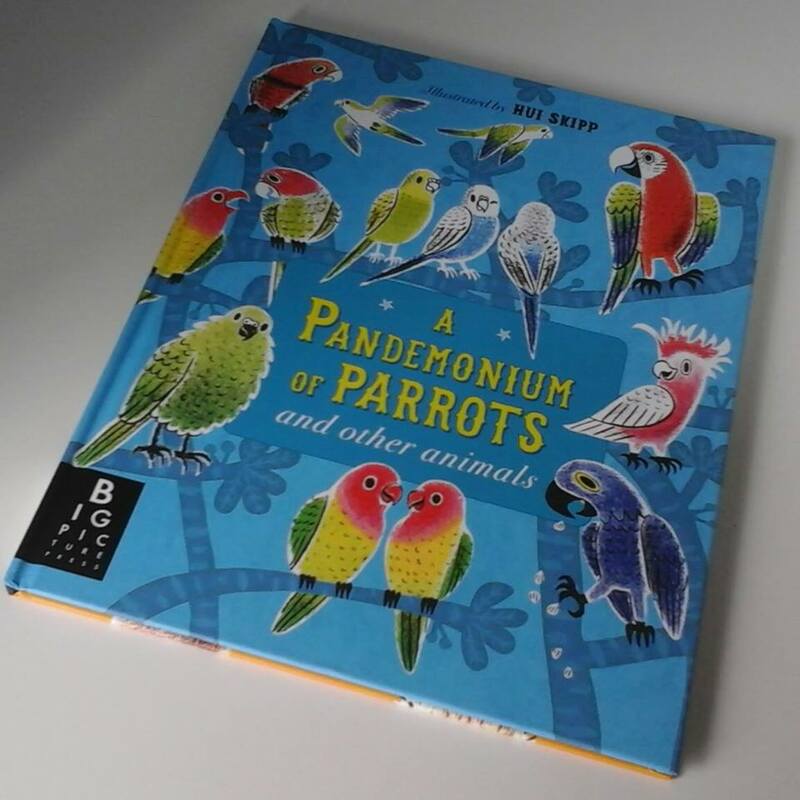 ‘A Pandemonium of Parrots and Other Animals’ is a wonderfully vibrant narrative information book which will captivate and entertain children with its lively and witty illustrations. Introducing children to the concept of a collection of animals, they will discover the most strange and marvellous names. 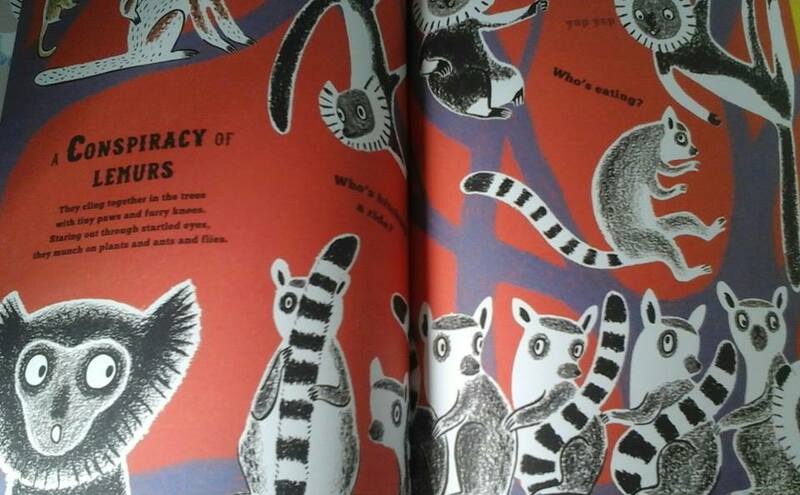 Turn the pages to discover a conspiracy of lemurs, a bouquet of hummingbirds and an ambush of tigers. A wonderful celebration of a variety of creatures from around the world it makes learning fun and accessible with simple facts and allows children the opportunity to find out more with the search and find games on every page. 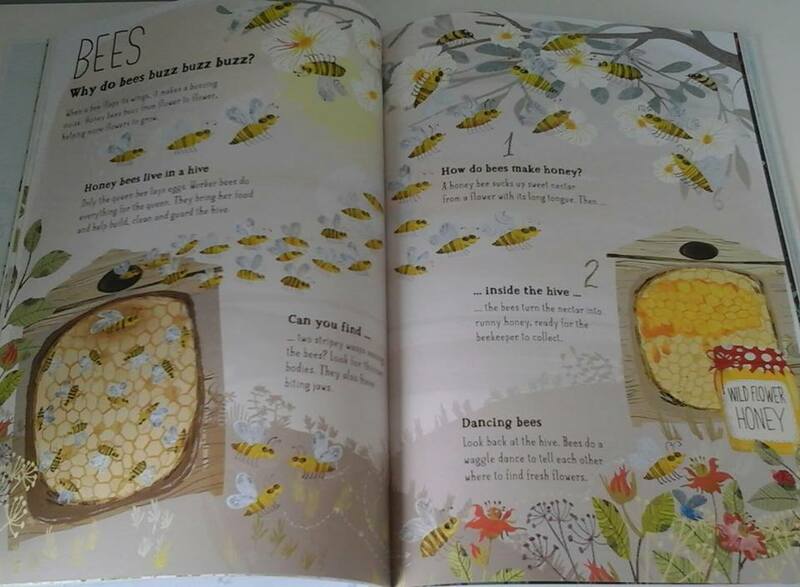 This stunning book is truly delightful and is bound to satisfy even the most inquisitive child. 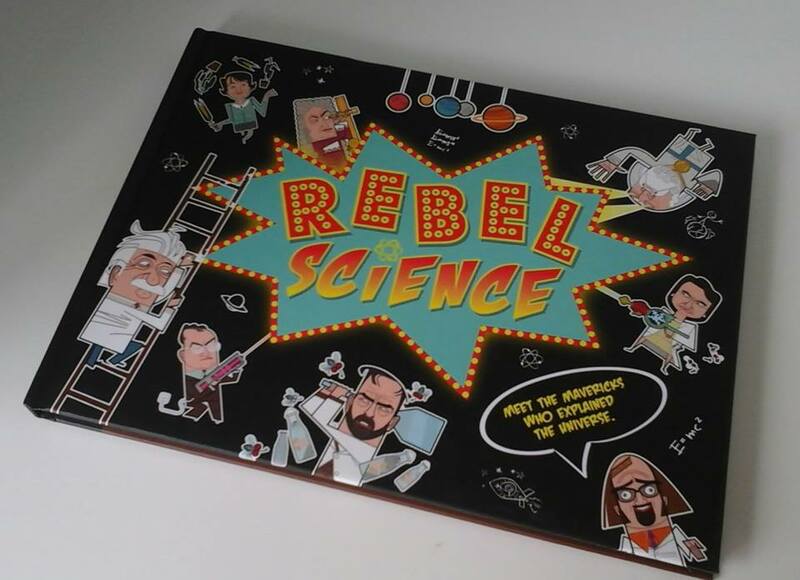 ‘Rebel Science’ is a weirdly wonderful look at the world of science which tries to challenge the status quo that scientists are all dull, boring egg-heads who hang about in labs and don’t have any friends. Covering a huge spectrum of topics and their evolution over the ages, this book shows us that scientific world is filled with curiosity, discovery and disagreement. 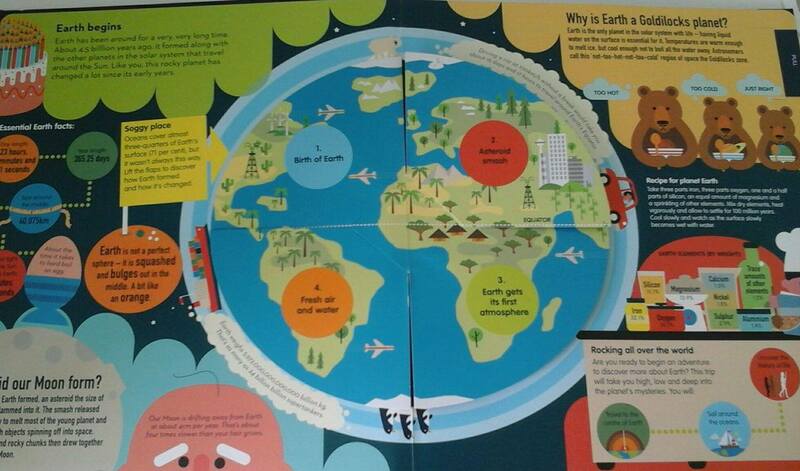 Using dynamic illustrations and chunky text boxes to display it ensures children don’t become overwhelmed with the sometimes complex information. 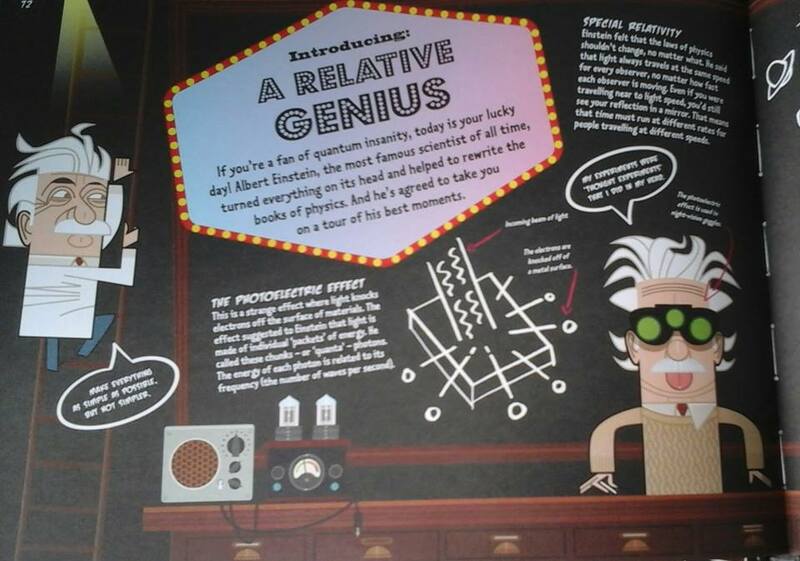 A comprehensive and engaging read, this will appeal to any budding scientist who demands a truly informative non-fiction book. I would recommend this as a definite must have for any KS2 school library. ‘Just how slow does a snail go? Are bugs afraid of the dark? Why do ants march in a line?’ Find out the answers to all of these questions and many more inside the brilliantly, beautiful ‘The Big Book of Bugs’. 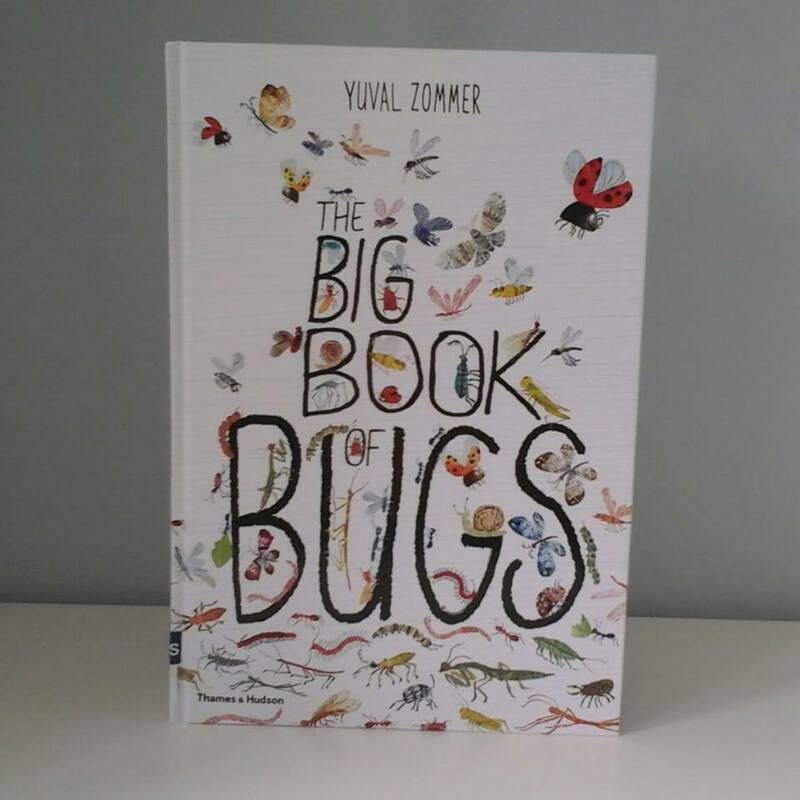 A jam packed book containing an insight into the lives of all kinds of insects and creepy crawlies, it is the ultimate guide for young bug spotters eager to find out more about the tiny creatures all around us. 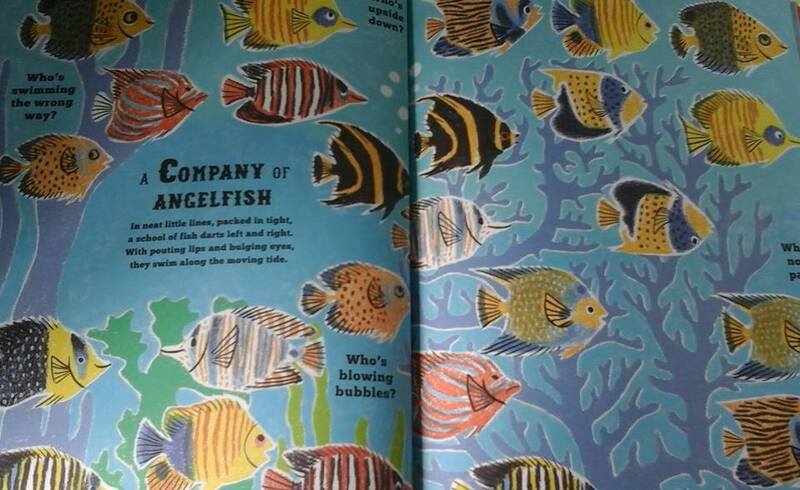 Featuring the most exquisite and delicate illustrations this book is a joy to behold. A real treasure of a read which will enchant and delight children and parents alike. 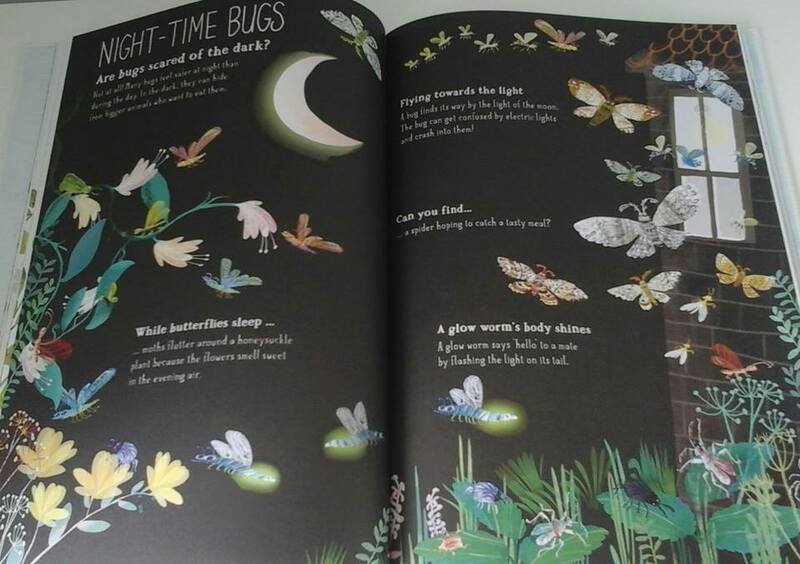 We have spent hours poring over this glorious book exploring familiar and unknown mini beasts and searching the pages for the hidden fly so cleverly concealed to capture children’s attentions. I simply adore this book! 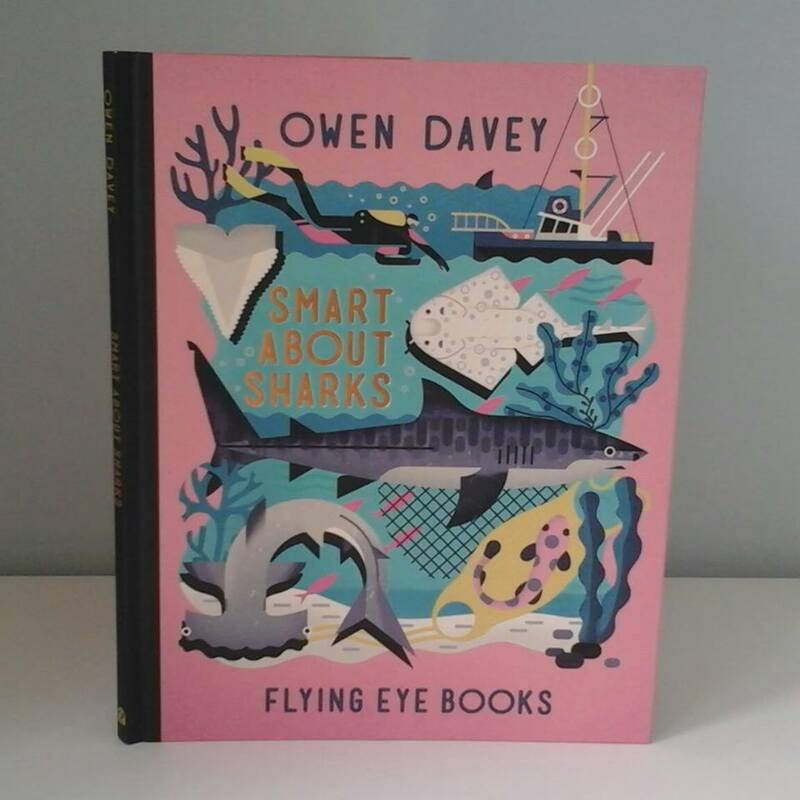 Another gem from Flying Eye Books ‘Smart About Sharks’ takes us on a spellbinding journey into the habits and habitats of the shark family. ‘Did you know that sharks can detect electrical currents from other creatures? 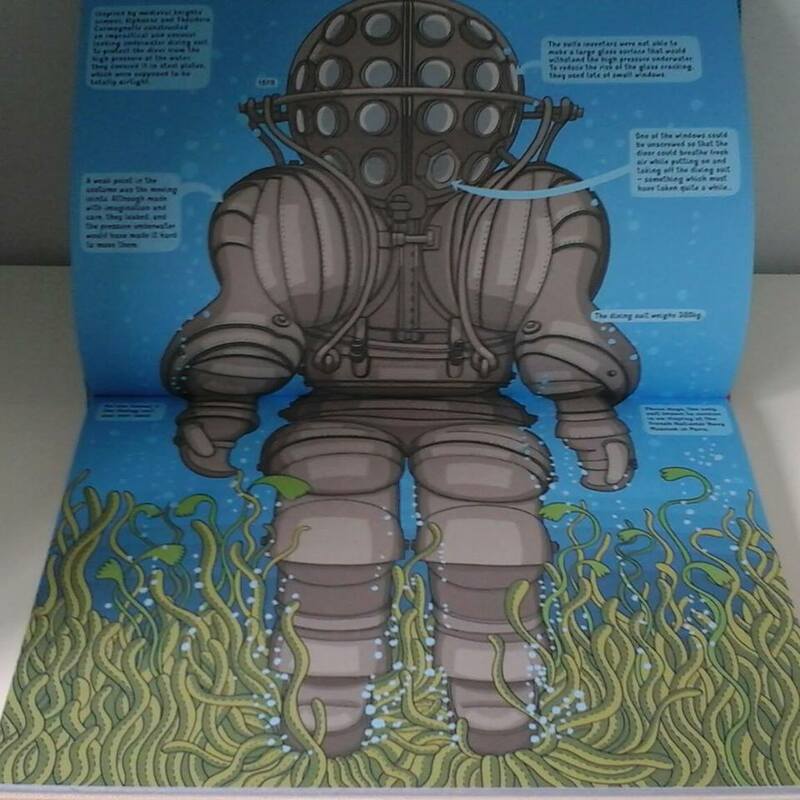 Or that some are covered in little tassels?’ Immerse yourself in this magnificent book and dive into the ocean to uncover an underwater world of wonder. 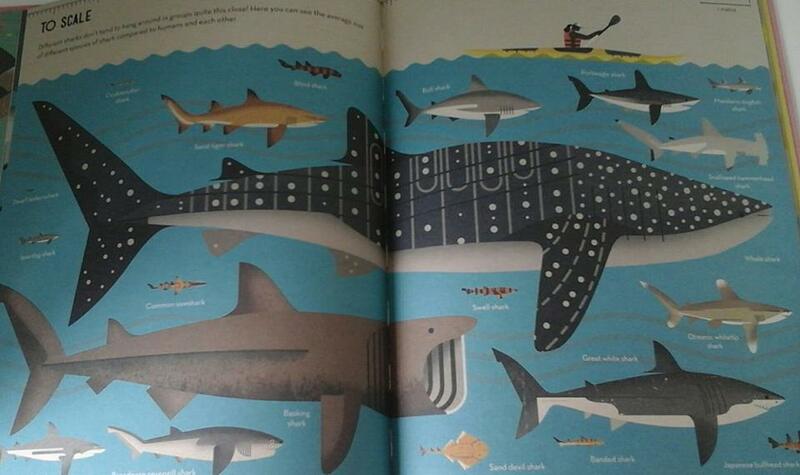 This book reveals a multitude of fascinating facts to satisfy even the most savvy of shark fans. Owen Davey’s sublime illustrations are marvellously intricate and detailed offering a unique and beautiful exploration of this mighty fish. 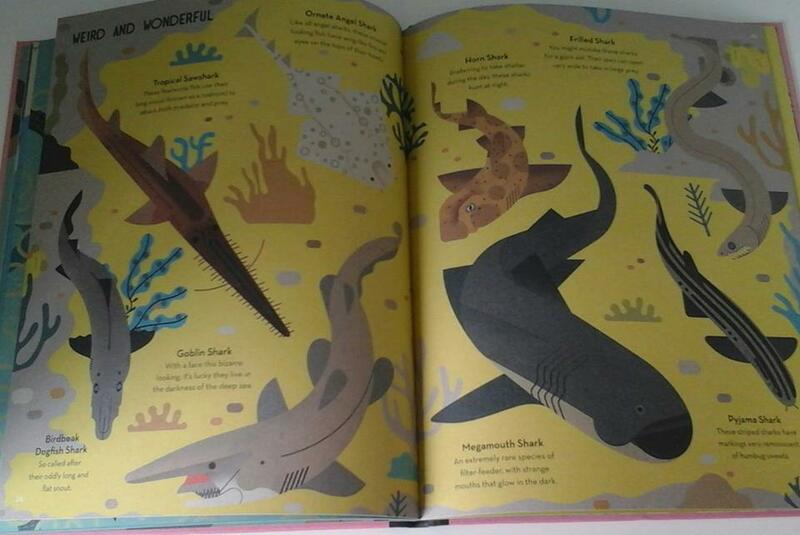 An in depth and insightful read, ideal for older children who are searching for a truly expansive study of sharks. 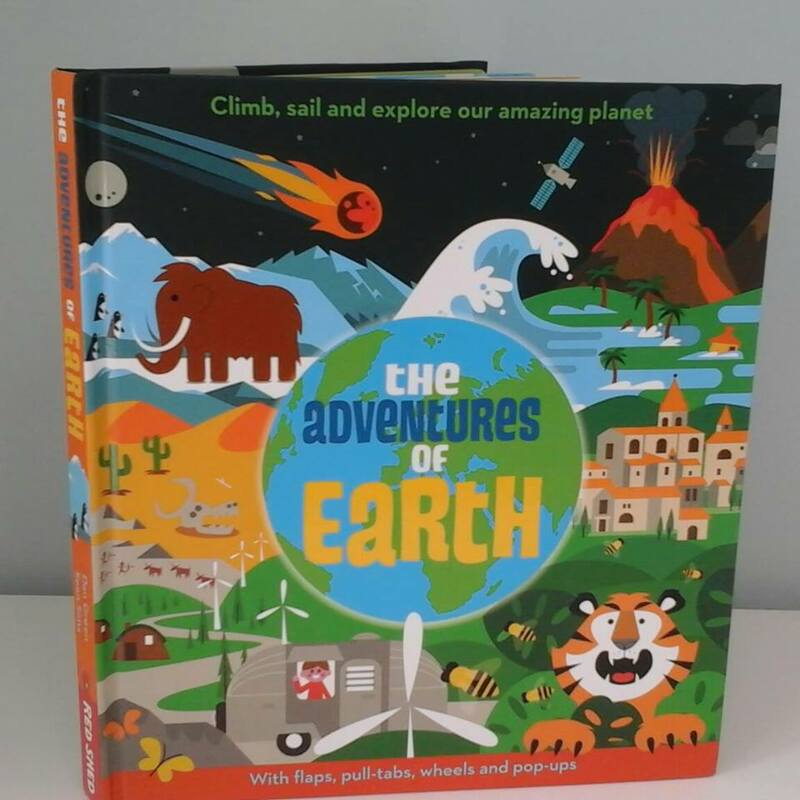 Following on from the glorious ‘The Adventures of Water’ Red Shed have produced another interactive adventure inviting us to explore our wondrous planet in ‘The Adventures of Earth.’ Planet Earth has been around for billions of years and is part of our lives every day! But how did it form, how does it work and why do we need to look after it. A fascinating journey charting its many mysteries from the beginning of earth, delving into the core of our planet, taking a fresh look at our vast oceans and examining ways that we can protect our environment. Sean Sim’s bold and vibrant illustrations are wonderfully engaging. 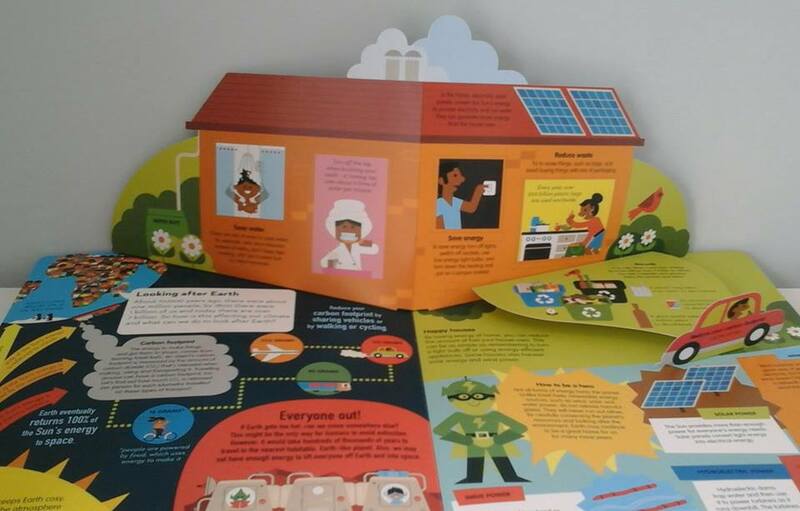 Children will be totally engrossed in this brilliantly interactive format which encourages the child to open flaps, pull tabs, turn wheels and open pop-ups, offering a real hands on approach to fully involve them in the learning process. Find out the sunniest place on earth, why our planet is like a jigsaw puzzle and many more mind boggling discoveries in this fabulous fact book. 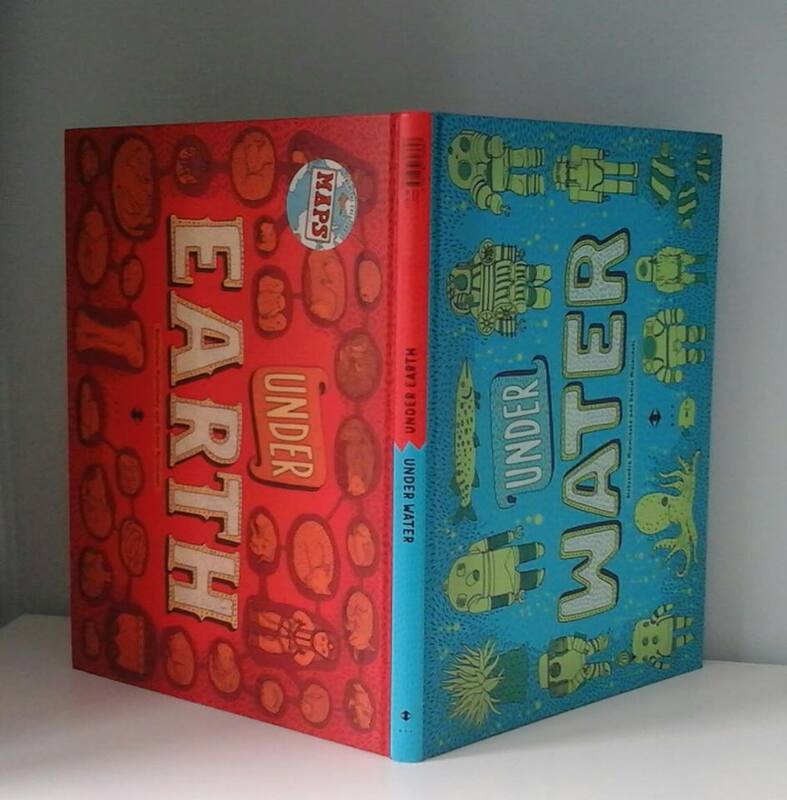 Discover the secrets of the underground and underwater world in the most glorious of information books ‘Under Earth, Under Water’ from the immensely talented duo that brought you the stunning ‘Maps’. 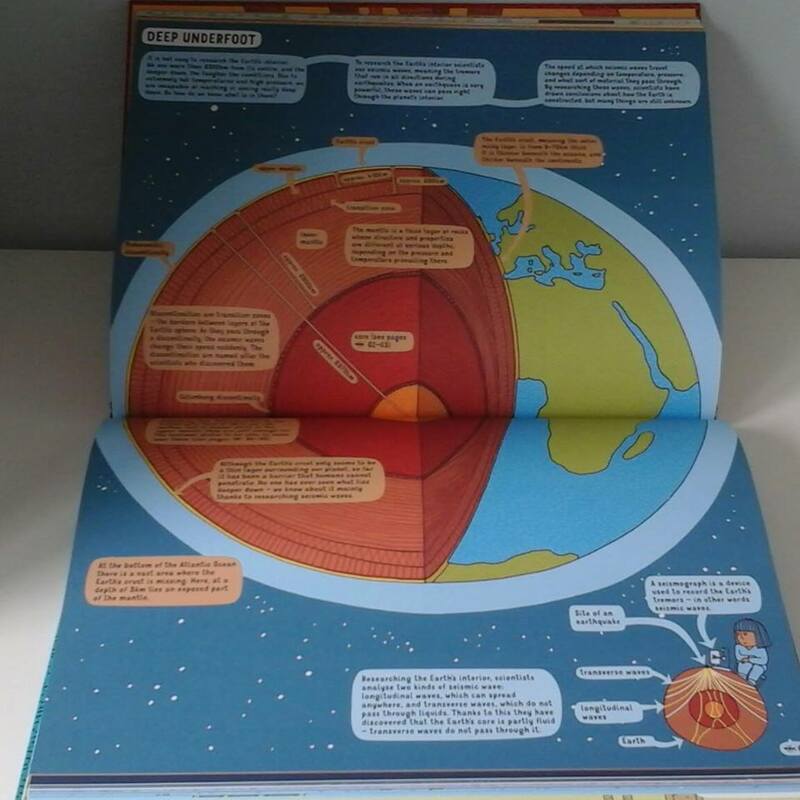 Gradually dig your way towards the centre of the earth uncovering layers of delightful details displayed in detailed cross-sections and bold illustrations. On your way you will enter the world of the unknown that lies beneath the ground we walk on every day not realising the hive of activity that takes place underneath us as we live our lives. As we reach the fiery Earth’s core we cross into the very bottom of the world to one of the world’s most inaccessible places the ocean bed. We then enter the seas and oceans and meet the weird and wonderful creatures of the deep, diving further and further down exploring wrecks, test driving vintage submarines until we are plunged into cold and darkness. This book is a total triumph, an epic adventure which will make you see life in a totally different way. It will fill you with wonder and awe of our astonishing world which has a raft of hidden glories awaiting to reveal themselves. Gloriously illustrated this is a book which will definitely capture your child’s imagination, an absolutely exceptional non-fiction future classic. I hope you have enjoyed joining me on this wonderful non-fiction adventure. A huge thank you to Big Picture Press, Weldon Owen Publishing, Flying Eye Books and Red Shed for sending me copies of these books. This entry was posted in Uncategorized on August 11, 2016 by bookloverjo. 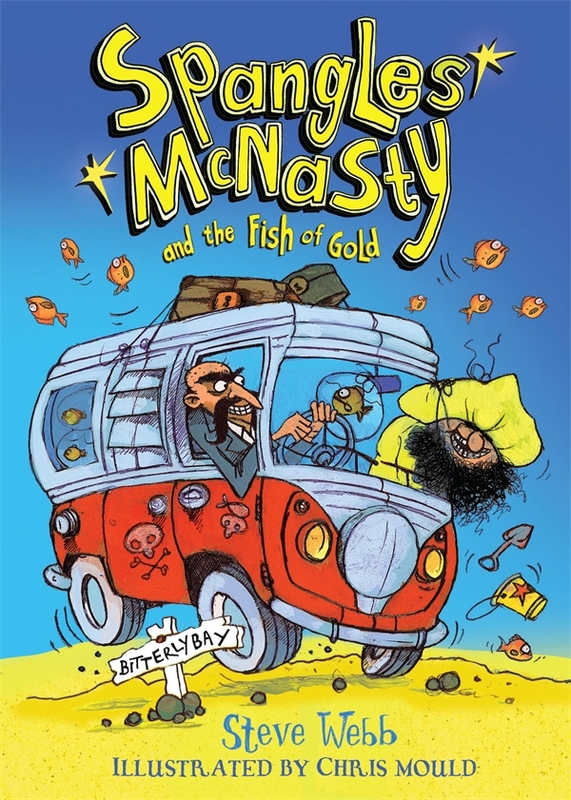 ‘Spangles McNasty and the Fish of Gold’ is a perfectly marvellous summer romp which will have you laughing out loud at the ludicrous villains and outrageously bonkers storyline. A new fiction series for confident readers created by Steve Webb and sublimely illustrated by Chris Mould will appeal to fans of horrid humour Welcome to Bitterly Bay, where the nastiest of nasty scoundrels Spangles McNasty has decided to spend his summer doing what he loves the most: shouting at babies, pulling faces at old ladies, eating cold chips from bins and best of all, collecting other people’s spangly things! Along with his nutty sidekick Sausage-face Pete they are on a dastardly mission to steal all of the goldfish in the town. Convinced that they are in fact made out of real gold and will grow to the size of a whale, they plan to melt them down and make themselves millionaires. Can anyone thwart their peculiar plan? Step forward Freddie Taylor who is on his own quest for a goldfish not realising he is about to get caught up in a chaotic carnival of events. This book is a fantastic crazy read which is sure to captivate readers with its quirky, eccentric characters who will whip you up into a frenzy and throw you around like the bumpiest of fairground rides. 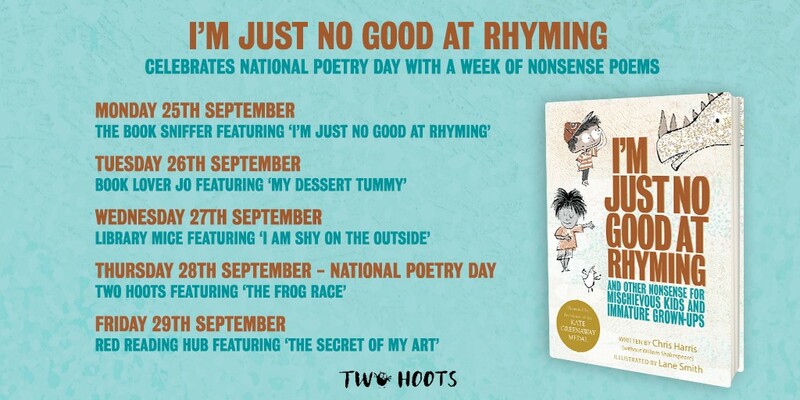 Combined with Chris Mould’s brilliantly humorous illustrations which capture the confusion and sheer hilarity of the story, this book is hugely appealing and entertaining. Who could resist this marvellous, madcap adventure? It is ideally suited for children who love gloriously silly details and horrible baddies. A truly wonderful collaboration which will leave you wanting more! Look out for further bonkers adventures from this disgusting duo in ‘Spangles McNasty and the Tunnel of Doom’ due for release in Spring 2017.. Thank you to Andersen Press for sending me a copy of this book. This entry was posted in Uncategorized on August 6, 2016 by bookloverjo.